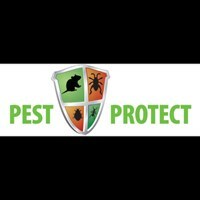 Pest Protect are a Pest control London family run business which are based in southeast London. We take pride in offering a professional and efficient pest control service. These services are carried out by experienced, friendly and helpful staff. Our prices are affordable and we offer a discount to OAP,s. We service all pest problems from mice, rats, cockroaches, fleas, bedbugs to wasps, birds and more. We offer services for residential and commercial properties all in London areas and have 3 vans on the road that means we can always get out to you the same day.